RETREAT 2017: GLEE CLUB’S BACK! The following report was written by Andy Secondine COL ’18. 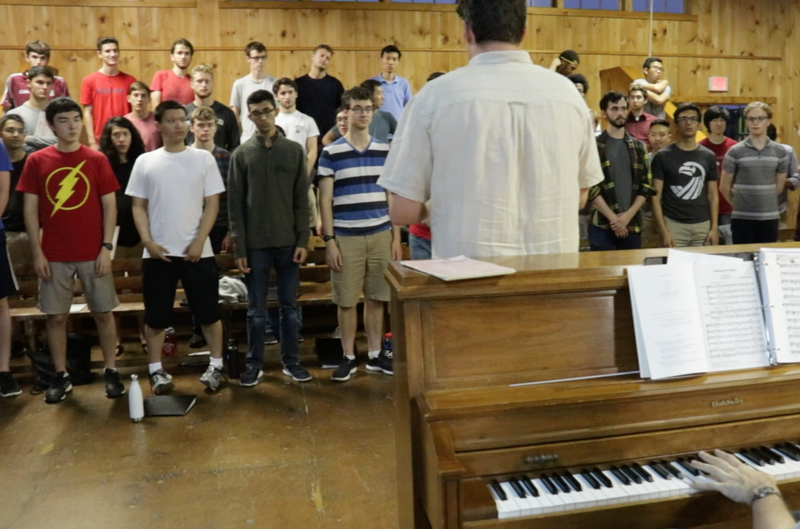 In mid-September, members of the Harvard Glee Club and Radcliffe Choral Society headed west to the Berkshire Hills for their annual fall retreat at the beautiful Camp Winadu in Pittsfield, MA. Unfortunately, it was a little early for fall colors, but I think the majority of Gleeks were happy with the extended summer weather. By the end of a full day of rehearsal with Conductor Andy Clark and our wonderful new Resident Conductor, Nathan Reiff, the choir had learned a significant portion of our fall repertoire. This includes works ranging from American Sea Shanties to Russian Chants. We are looking forward to displaying our work at our upcoming concert with the Princeton Glee Club on Saturday, October 21st. In addition to developing our own rep, we were privileged to collaborate with members of the Choral Society in learning Bernstein’s Chichester Psalms. Despite some pronunciation difficulty among our non-Hebrew-speaking membership, we’ve made a great deal of progress and are excited to show off the piece at a concert honoring Bernstein’s centennial on October 28th. In addition to rehearsals, we had time to bond as a chorus. Retreat featured the tie ceremony, marking the full entrance of this years’ “newies” into the Glee Club. President Connor Horton read from Lucien Price’s “Amphion’s Lyre” before leading the group in a stirring rendition of “Glorious Apollo.” This was followed by a party with the Choral Society. 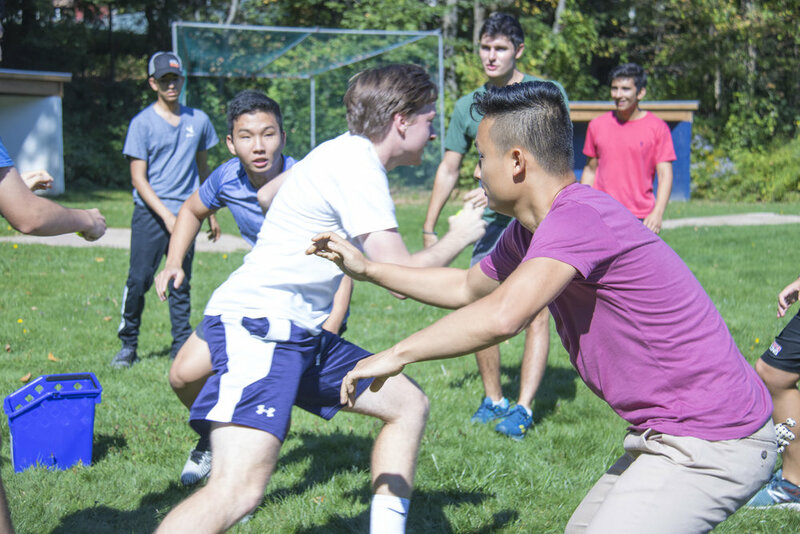 The next day was devoted entirely to choral bonding with events such as Glee Club Olympics and Powerball (our beloved, and completely safe made-up sport), as well as a photo scavenger hunt with our friends in the Choral Society. Despite an imbalance in athleticism between the teams, the event went off well. After our games, we packed up and returned to Cambridge, tired but happy. Much of the progress we’ve made has carried into rehearsals in the weeks following the retreat and the group sounds fantastic. In addition, in the weekend following the retreat, our beloved Vice President Wizz Zhao hosted his first social event of the year, featuring homemade dumplings and other mementos from last year’s tour. We’re excited to be moving forward into the year and can’t wait to share our work with you! Keep track of the Harvard Glee Club through our new series of ‘LIVE FROM HOLDEN CHAPEL’ livestream broadcasts. Click on the icon below to visit the ‘LIVE FROM HOLDEN CHAPEL’ section of the Foundation website and watch the teaser video.